Former Secretary of State Hillary Clinton holds a wide lead in the Democratic contest for the nomination, receiving 58 percent of Democratic primary voters' support. Senator Bernie Sanders is second, with 17 percent. Vice President Joe Biden, who has not yet announced whether he is running for president, receives support from 11 percent of Democratic primary voters. When asked which candidate is their second choice for the nomination, 42 percent choose Joe Biden. Hillary Clinton is seen as the most electable of these potential candidates. No single Democratic candidate or potential candidate stands out as unacceptable to these primary voters. 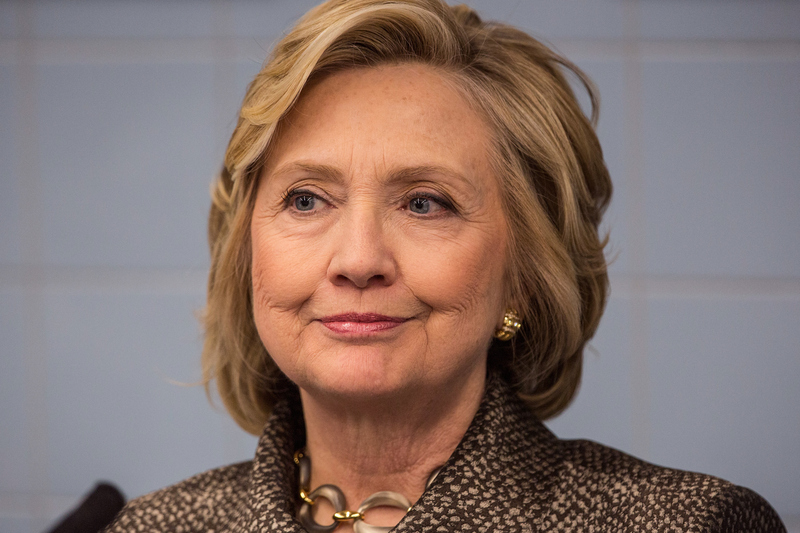 Hillary Clinton enjoys widespread favorability among Democratic primary voters. But it is still early in the campaign, and many Democratic primary voters haven't formed an overall opinion of Bernie Sanders. While more view Bernie Sanders in a positive than a negative light, nearly half are undecided or haven't heard enough about him to form an opinion. Majorities of Democratic primary voters view Hillary Clinton as honest and caring, and about half see Bernie Sanders the same way. More say they have yet to form an opinion of Bernie Sanders than Hillary Clinton on both measures. More Democratic primary voters are confident in Hillary Clinton's ability to manage the economy and deal with American adversaries abroad than in Bernie Sanders' ability to do so. But among voters overall, views of Hillary Clinton are more negative than positive, with 41 percent favorable and 47 percent unfavorable. More than half of voters overall don't yet have an opinion of Bernie Sanders. Clinton's honesty continues to be a problem for her among registered voters: more see her as not honest (55 percent), up seven points since May, than honest (40 percent). But just over half of voters view Hillary Clinton as caring about their needs and problems, a quality which is typically a strength for Democratic candidates. Thirty percent of voters are now paying a lot of attention to the 2016 presidential campaign, up slightly from May. There is little difference between Democrats and Republicans. Voters' views of both political parties are more unfavorable than favorable, but opinions of the Democratic Party are more positive than those of the Republican Party. This poll was conducted by telephone July 29-August 2, 2015 among a random sample of 1,252 adults nationwide, including 1047 registered voters. Data collection was conducted on behalf of CBS News by SSRS of Media, PA. Phone numbers were dialed from samples of both standard land-line and cell phones. The error due to sampling for results based on the entire sample could be plus or minus three percentage points. The error for subgroups may be higher. Interviews were conducted in English and Spanish. The margin of error for the sample of 362 Democratic primary voters is 5 percentage points.